You Did What to My Airplane!?!?! | Tennessee Aircraft Services, Inc.
You Did What to My Airplane!?!?! One of my goals in life is to limit surprises. Not those surprise birthday parties but rather those other unwelcome surprises none of us enjoy. Just a few examples to get your imagination going: credit card statement with unknown charges, unwanted legless critter found inside the house (aka sneaky snake), flat tire on vacation, running out of gas, unexpected weather at destination, no fuel available at destination, power outage in the winter, or finding your airplane’s engine sitting on the shop floor. We don’t foresee most of these surprise events coming, hence the surprise. Sometimes the situation gets out of control before you even knew a situation existed. I met up with a friend, I’ll call him Mark, at one of the AOPA regional fly-ins last year, and he related to me a recent terrible experience he had with a well-known maintenance shop. I listened in almost disbelief as the short story unfolded, and I just can’t help but present it to you as well. Spoiler alert, it has a relatively happy ending for my friend. Not so much for the shop. All seemed simple enough: just drop off the plane for a routine oil and filter change and have a look at the cylinders with a borescope to see if anything shows up that might explain a sudden increase in oil consumption. Mark noted and reported heavier exhaust soot on the belly aft of the right exhaust stack than on the left, indicating a possible issue with the right side cylinders. That’s all, an oil change and a look around, and then report what’s found for further discussion. A short time later Mark received a call from the mechanic whom I’ll call Steve. Steve discovered oil pooling inside the right two cylinders which he believed was due to bad piston rings. The owner was invited to come see for himself. Meanwhile, it was obvious to Steve that the only course of action was to pull these two cylinders for further investigation. Since this was the only plausible action, there couldn’t be any particular need to advise the owner or get permission, right? After removing the #5 and #3 cylinders, Steve had a good look at the camshaft. There were some odd looking colors and swirls on the cam lobes, which Steve decided were worthy of condemning the camshaft. The only way to address a bad camshaft is to split the crankcase. This is a huge development, so Steve decided it was time to call Mark with the bad news. In Steve’s call to Mark, two important bits of information were revealed: 1) Steve removed the two cylinders and 2) the camshaft was shot. Mark was surprised to learn that major surgery had been performed on his engine without any authorization or discussion. Surprise was quickly surpassed by the unhappy prospect of pulling the engine to deal with the bad cam. Clearly, more information and education was on Mark’s agenda. 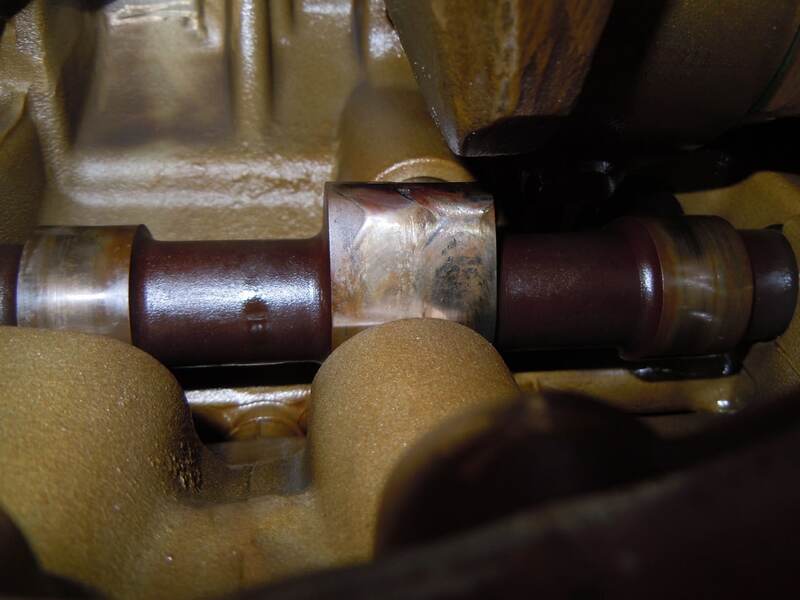 After the call, Mark went to the shop to have a first-hand look at the condemned camshaft. In the process he also sought out advice on the situation from other sources to make well informed decisions. 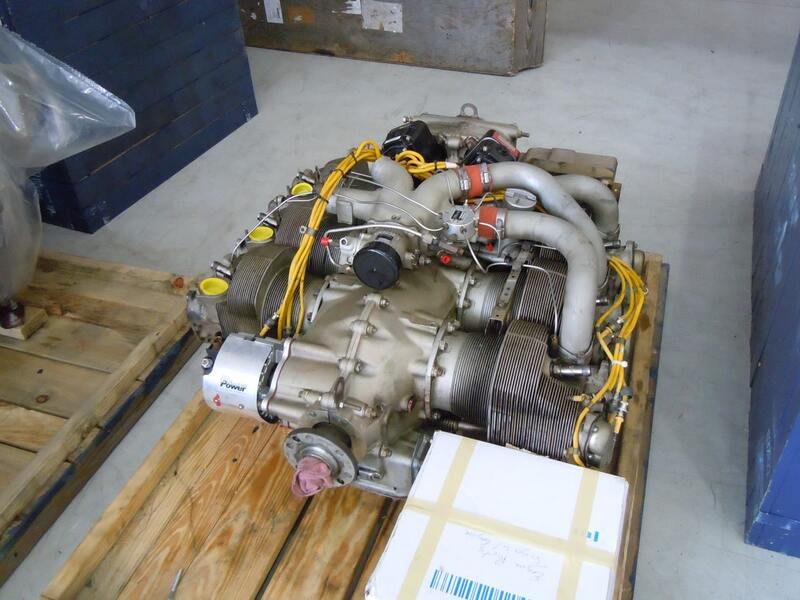 The advice was to read Continental Motors SID 05-1B, Continental’s definitive Inspection Guidelines for their camshafts and hydraulic lifters. Continental’s Service Information Directive 05-1B is a wonderful ten page document with very detailed information on how to determine the serviceability of the camshaft. I like it especially because it includes plenty of pictures, illustrations and well defined parameters. Using SID05-1B to determine camshaft serviceability takes out any quesswork, allowing for very definitive decision making. The only downfall is that one must actually read and use the SID before it can be of value. Mark read through the SID and found all the information needed to determine the airworthiness and serviceability of his camshaft. It’s not rocket science and mostly just calls for a visual inspection and a pick. That’s right, a highly technical precision tool, a pick. In a nutshell, if the cam lobe is spalled or pitted bad enough for a pick to catch in the pits, then the cam is not serviceable. Generally speaking, spalling is caused by wear, while pitting is initiated by corrosion. Swirl marks and discoloration are normal and not a cause for concern. Mark arrived at Steve’s shop expecting to find the two cylinders removed and the camshaft easily visible. What should have been a simple decision to replace piston rings and hone the cylinders had escalated into whether the engine as a whole could continue in service. Based on pictures of the cam that Steve had emailed, Mark had hoped to use the pick per the SID to show the cam was serviceable. Upon arrival, what Mark saw exploded all his expectations. As Mark walked into the hangar, he saw his plane, but there was no engine hanging on the front! It was sitting on a pallet nearby, ready to be shipped out. To say he was in shock puts it mildly. How do we go from a simple oil change to an engine extraction without notification or authorization of any kind? I must admit to being impressed at the quiet speed and efficiency in which Steve was able to remove the engine. After recovering from the shock of finding his engine on the shop floor, Mark began to assess the condition of the camshaft armed with SID 05-01B and the pick. As he applied the inspection procedures in the SID, it quickly became obvious that the cam was perfectly serviceable. There were no significant pits and no excessive wear. The only interesting feature was the coloring of the polished surfaces, which was also normal for the time on the engine. Many pictures were taken to document the condition of the cam and its full compliance with the SID. The table had turned, and Steve was now the one standing by in a slight state of shock and disbelief. Next, Mark has a serious formal meeting with Steve and his boss, the shop owner. It was all very obvious to everyone – Steve performed work with no authorization or even notification. His assessment of the cams’ condition had no basis other than “it just looked bad”. The shop owner stepped up and covered the cost of the engine reinstallation, rework and reinstallation of the two cylinders. A small price for the shop to pay to correct a serious error. Sometimes I feel like the proverbial bartender or hair dresser in that aircraft owners and mechanics share these kinds of stories with me. This one stands out a little because it’s a current event and very well documented. The story highlights an old accepted industry norm that needs to be changed. Its telling is timely as it is also the prime topic of the AOPA presentations last year that reconnected me with Mark in the first place. There are many reasons why some mechanics might feel they have the authority to make maintenance decisions for the aircraft owner. It is the aircraft owner’s/manager’s responsibility to ensure the proper chain of command is followed from the start. This may feel awkward when trying it for the first time with a mechanic with whom one has had a long standing relationship. With a bit of finesse, the transition to the better style of communication can be made without ruffling any feathers. Steve had to give up some labor time to help make things right with Mark’s engine. We can only hope that the experience was costly enough for him that he’ll be more aware of an owner’s perspective going forward. The marginally happy ending for Mark is that his plane is flyable again, and the high oil consumption issue is gone. The engine was reinstalled, and the cylinders reworked at no cost other than the down time. I didn’t think to ask if he had to pay for the oil change, the original reason for the visit to Mark’s shop. A formal discussion with the mechanic at the beginning of this near tragic event to clarify that removing the engine was not authorized would have sounded ridiculous at the time, but it makes a lot of sense in hindsight. Something as simple as making a clear statement to the mechanic that only the oil change and borescope inspection of the cylinders were authorized and absolutely nothing else until specifically authorized might have done the job. As owners, we often assume the “don’t do anything that isn’t asked for” is understood. Clear and concise communication is an absolute must when managing your aircraft maintenance.